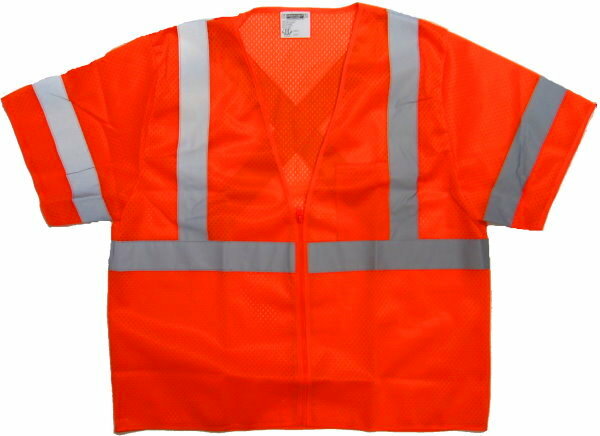 ANSI Class 3 fluorescent orange color vest with jersey mesh fabric for great breathability. 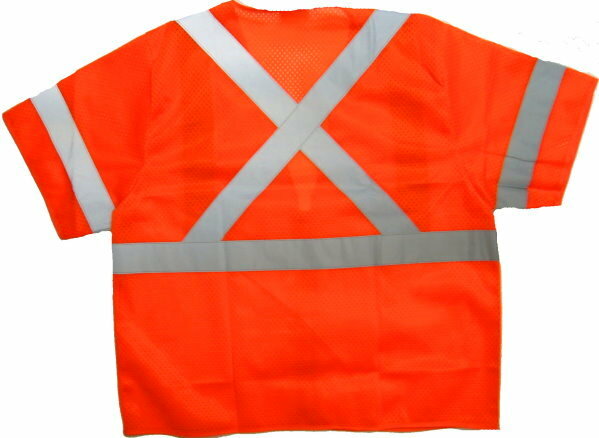 2” wide horizontal and vertical silver reflective stripes on front with "X" stripe on back, as required by many railway operations. V-neck. Zipper front. 1 chest pocket. 100% polyester.